Go Green on St. Patrick's Day! | Winners Drink Milk! St. Patrick’s Day is observed around the world and here, in Indiana. The annual St. Patrick’s Day Celebration in Indianapolis is a three-part party that paints the town green. The three-day event includes a Shamrock Run & Walk, the dyeing of the downtown canal green and is capped off with the St. Patrick’s Day Parade and Block Party. Live Irish music, celebrity appearances and prize drawings are all part of the festivities. South Bend, Indiana’s St. Patrick’s Day parade steps off at the corner of E. Jefferson Blvd. and Frances St. in downtown South Bend’s East Bank neighborhood. Directly following the parade, the East Race waterway is turned green in honor of the saint! Fort Wayne offers the 5-Kilt Run/Walk and of course will turn the St. Mary’s river green, for a fun celebration of St. Patrick’s Day! Don’t miss out on the Lucky Charms eating contest! After all the 5K’s you could do, you’ll be ready to refuel. Nothing says celebration like food. Right? 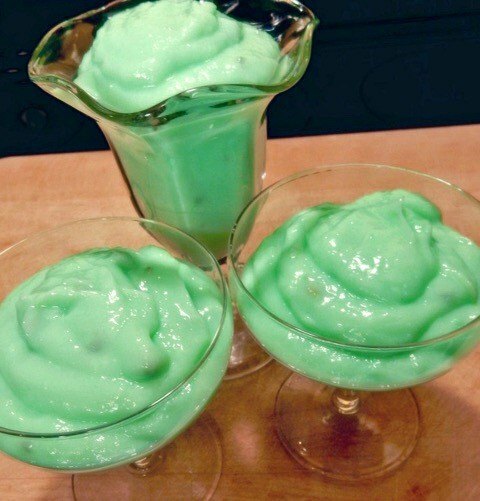 For St. Patrick’s Day we need green foods! 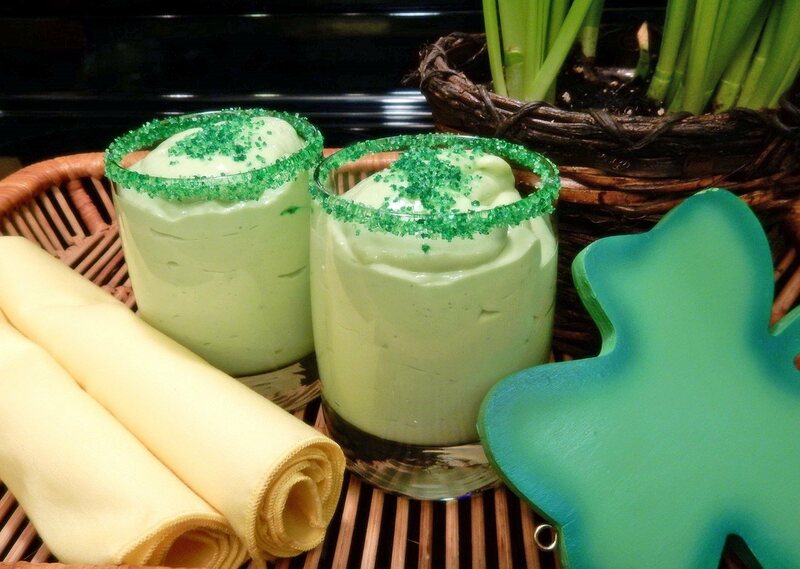 I like to bake and decorate cookies, always have food coloring in the pantry and am not afraid to use it, but in this instance, I found foods that are already green. 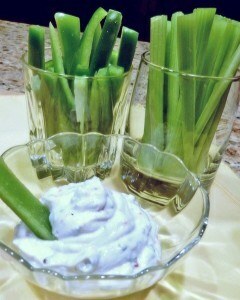 Include fresh green vegetables like bell peppers, celery, broccoli, and asparagus and pair with yogurt dip. I used plain Greek yogurt and a prepared bacon/horseradish dry mix for my dip. I hadn’t had any in a while, but pistachio pudding is a tasty treat and yes, it’s green. 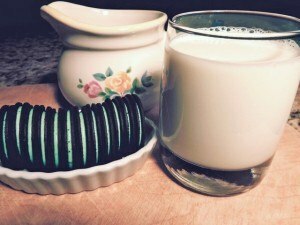 There’s nothing wrong with plain old cookies and milk. How about mint Oreos for a dash of the green? I decided that this is the perfect opportunity to try my very first green smoothie. I call it the Green Power Smoothie. You might like this one also. Wash and pat dry the baby spinach and place in blender. Add the juice of one lime. Add half the milk. Blend till smooth. Add remaining ingredients and blend till smooth. Chill and serve.